Yes, we’ve found the fountain of youth! Everyone wants to find the fountain of youth, which was yet to be discovered until now! In a 1 oz pump we’ve bottled up everything you’ve been looking for so that you can stop searching high and low for younger looking skin. With a 100% satisfaction guarantee, the Alpha Mane® Anti-Aging Serum works to halt the aging process and reveal your most beautiful skin yet in just 2 weeks! One serum to rule them all! The last thing you want to do is draw negative attention to blemished skin. It’s easy to notice that people who converse with you aren’t looking in your eyes when speaking but rather they’re looking at your skin and a story develops in their mind. They start to think what happened to your skin, how’d you let your skin become so damaged, are you doing anything to treat your skin, and that they’d love to see your face under the blemishes. It’s not the polite thing to do but it happens more often than not that people make up their own mind about the kind of person you are based on how you take care of your skin. What’s worse is that the entire time they’re speaking to you, you can clearly see that your skin distracts them. What they don’t know is that you’ve tried everything and either nothing has worked or it has worsened your skins condition. At this point, you feel you need a miracle to get great skin and by now, you should know that we have one for you. Allow us to introduce our I Am-Miracle Serum by clarifying what a serum is. A serum is different than a cream or moisturizer in that it’s lighter and highly concentrated which accelerates the time it takes to see and feel clear skin. When used in conjunction with our Green Tea Cleanser and our other products, our I Am-Miracle Serum not only works within it’s own category but it joins with other products in our skincare line to enhance results. Organic Aloe- It’s not just useful for sunburn but helps to heal wounds faster, is an antibacterial agent, and contains vitamins and mineral to stop eczema and psoriasis in their tracks. Hemp Seed Oil- Prevents moisture loss and helps prevent mature aging. Rooibos Extract- Treats and prevents acne. Vitamin B3- Reduces redness, scaling, and flaking. From these few ingredients alone, you can tell that we’ve put much into our serum for your skin. With just a pea size of daily use, you’re not only going to see skin blemishes, skin discoloration, and rashes clear up but you’ll also see a reduction in wrinkles and younger looking skin. We’re excited to share our innovative I Am-Miracle Serum. We not only want you to have the best skin you’ve ever had but we want you to have it quickly so you can get back to loving the skin your in. Log onto http://www.razorbumpcream.com and order yours today! Eczema & Psoriasis are more than just itchy skin conditions, especially for those who have this diagnosis. Depending on the severity, both skin disorders can go beyond patches of rough skin to being inflamed and even causing bleeding. There are all kinds of suggestions from physicians on how to treat them and their main suggestion is to keep the skin moisturized and away from anything that strips moisture, especially harsh soaps and water. The trick to this recommendation is that we use water everyday and even if we’re wearing gloves for protection, we still can’t completely get away from the use of water, which means we can’t completely steer clear of drying skin. What’s worse is that eczema and psoriasis are prone to developing in the most visual (and sometimes unusual) places on the body such as the neck, arms, scalp, within the creases of your legs, on your fingers and hands, on your back, and even on your face. When rough, itchy, blistering, and bleeding skin appears in these places, it’s hard to hide the skin let alone treat it fast enough so that it unnoticeably goes away. Q: With all this being said, what can be done about this skin condition that goes beyond using thick greasy creams, wearing gloves, avoiding water, avoiding the use of certain chemicals and soaps, and waiting for it to go away? A: Since these conditions occur with the drying of skin, we’ve taken the approach to keep your skin moisturized. Rather than laying on the skin, like most creams and moisturizers recommended for eczema, we’ve created the Alpha Mane® Eczema & Psoriasis Treatment Kit to seal in moisture while it nourishes the skin back to health. Think about it, if creams and moisturizers are just lying on the skin, it will wash away easily with water and sweat. This only provides some relief from the itching but it does absolutely nothing to help the condition. We understand that the skin is an organ and while we’re not physicians, we know that skin is the largest organ of the human body and is an entryway to toxins and allergens. The problem is that we don’t treat the skin like an organ. We spray and rub all kinds of unnatural substances that can easily enter the bloodstream and further agitate eczema and psoriasis. In our Alpha Mane® Eczema & Psoriasis Treatment Kit we’ve put together a moisturizing treatment oil and a 100% all natural soap that not only hinders the development of itchy, rough, blistering, and bleeding skin but it also restores the skin back to it’s original state. The Alpha Mane® Eczema & Psoriasis Treatment Oil contains all natural oils that go past the surface of the skin to provide it with the nourishment needed. It’s formulated to reduce inflammation, stop bacteria growth, protect from environmental allergens, and rejuvenate the skin with our own proprietary blend of essential oils including Lavender Oil, Carrot Seed Oil, and more. The Alpha Mane® Goat Milk Honey Oat Eczema & Psoriasis Soap is 100% natural. It not only soothes the skin but it also seals in moisture and stops the itch. The goat’s milk alone provides over 50 nutrients, minerals, acids, and enzymes to revitalize dehydrated skin while the raw honey retains moisture and the organic oat flour soothes irritated skin. A few days ago, I shared with you all a brief story of how I got started with my infamous razor bump cream. My skin was severely inflamed and bruised from ingrown hairs and products that just didn’t work for me until I decided to take matters into my own hands and created the Razor Bump & Ingrown Hair Cream with the best high quality all natural ingredients. In 3 days, my cream not only removed the inflammation and ingrown hairs but I saw that my skin tone looked better than it had before I suffered from razor bumps. I was so excited that I told everyone I knew about what I created and even shared the cream with men and women who were looking for the perfect solution for their case of razor bumps and ingrown hair. The success rate was so high that I actually had no choice but to turn what was once a remedy just for me into a solution for thousands of people who were just like me. My results from the cream, along with the testimonials from so many satisfied customers made me see how important the appearance of skin is to men and women of all backgrounds. 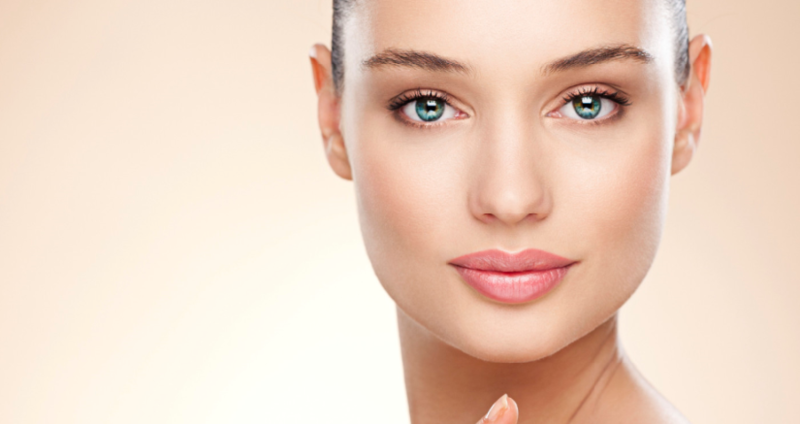 We try to overlook it but in our heart of hearts, we want clear beautiful skin. The contentment I felt (and still feel) from your happiness along with the pride I take in being the creator of the razor bump cream, fueled my passion to treat the rest of my skin to the best skincare remedies I could find. I started studying and coming up with formulas that worked and each time I hit a steady success rate, I knew I was on to something that would keep changing my life and the lives of others and therefore, stopping at just a razor bump cream wouldn’t be enough. I went on to develop a Razor Bump Treatment & Moisturizing Oil that could be used in conjunction with the Razor Bump Cream and the Green Tea Facial Cleanser. When I used these 3 products continuously in conjunction with each other, I not only maintained my great results but I began to see the best skin I’ve ever had in my entire life. Again, I shared with my previous clients and so many others who were suffering from razor bumps, ingrown hairs, eczema, psoriasis, and damaged skin and their freedom to finally be comfortable in their skin kept me going. Each time I created a successful product, I’d venture onto the next with the goal that each product would work together to give you the best skincare results you’ve ever seen. I’ve come a long ways and I’m yet continuing in my skincare line but still, your best skin ever remains my goal. It’s simple, you continue to share your results with me and I’ll continue to create innovative high quality all natural ingredients that will always make you smile (or even cry happy tears) when you look in the mirror. Acne is the skin’s worst enemy and the two have been engaged in a battle that has ensued way before the first pimple has appeared on our skin. Pimples, blackheads, and bumps are all associated with acne but in order to fight it, you have to go below the surface to come up a winning champion. Acne is a skin condition that occurs when hair follicles located in the bulb are filled with oil and dead skin cells. It’s the skin’s way of saying that it needs air and rightfully so since it’s an organ, actually the largest organ of the human body. The only way to really get rid of acne is to get rid of the oils and dead skin cells that are lodged in the bulb and no ordinary cleanser can do that. Acne prone skin needs high quality products that dissolve the oils and dead skin cells that are blocking the follicle while refraining from stripping the skin of other good oils that are helping the skin. What a task right? How exactly can we get rid of the bad while holding onto the good so that the skin not only receives treatment but it also maintains it’s normal environment? The answer is easier than you think. You simply need a good regimen with high quality power packed ingredients that gently was away what’s clogging the skin. STEP 1: Be sure to open the pores prior to going forward with your regimen! 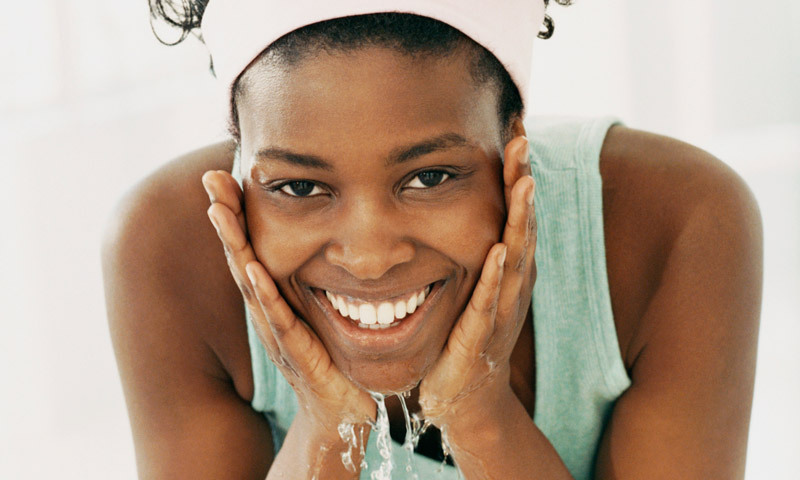 Turn on your shower, use a facial steamer, or even a cloth wet with warm water to open up those pores. Once the pores are open, the oil and excess skin will easily wash away but not without a good cleanser. STEP 2: Apply the Green Tea Facial Cleanser and gently cleanse in an upward circular motion and rinse or wipe off with warm water. STEP 3: With the use of a cotton ball, apply the Alpha Mane® Facial Mint Toner and gently apply over the face in upward motions. STEP 4: After the toner is dry, finish your regimen with our Acne Treatment Oil by placing 4 drops between your fingertips and massaging over your face. Repeat these steps 1-2 times per day, preferably once in the morning and once at night to win the war on acne and to get the greatest skin results you’ve ever seen. With the Alpha Mane complete grooming kit, you can shave with confidence. When I created the Green Tea Facial Cleanser, it wasn’t just to provide a solution for clear skin but it was a pathway to a great shave. The method for great skin is clear, always keep the skin clean and moisturized but for a great shave, it takes a bit more than that. The goal is actually to obtain razor bump-free skin while keeping it clean and one false move can result in skin irritation and worse, more razor bumps. I wasn’t going to leave it up to everyone to figure out the best way to shave and like always, I choose to figure it out before releasing my products to the market. STEP 1: Open the pores of the skin with a warm wet cloth or steam. STEP 2: Cleanse the skin with the Green Tea Facial Cleanser concentration on the nose, chin, forehead, and neck. STEP 3: Apply our Protective Shave Cream into the areas to be shaved as it reduces nicks, ingrown hairs, and razor burns. STEP 4: Shave in the same direction as the grain first and if a closer shave is desired, then shave against the grain and then apply the Aftershave Splash Plus or even our Organic Mint Toner. STEP 5: Once the aftershave is dry, apply our Razor Bump/Ingrown Hair Cream to the shaved area twice per day to treat and prevent razor bumps and ingrown hair caused by shaving. These directions are included in our shave kit but can always be found by clicking here should you lose them or forget. With our products you don’t just get the greatest skin you’ve ever seen but you also get the greatest shave you’ve ever had!